I cannot believe next weekend is Columbus Day weekend. Wasn't it just the 4th of July? My son will be coming home with a few friends so we are going to have a full house of hungry boys!!! I am sure they will be out most of the time but I do need to start planning some crowd pleasing meals. 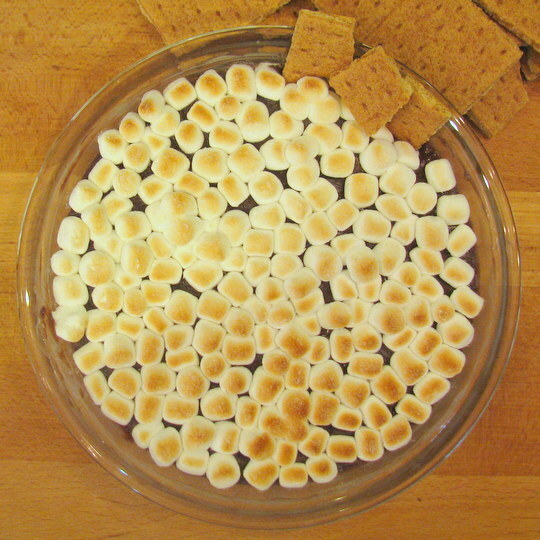 I found two awesome recipes online that I wanted to share with you, Slow Cooker Salsa Chicken Burritos and Smores Dip. I know both will be perfect for the group I will be feeding!!!! I am sure your family will LOVE these go to recipes too and they will become household favorites..I promise! !....Bon Appetit!!!!! Put chicken breasts in a your slow cooker (approx. 2 lbs or 4 large cutlets) and cover with a jar of salsa (I use mild but if you should use your favorite). Stir until chicken is covered. 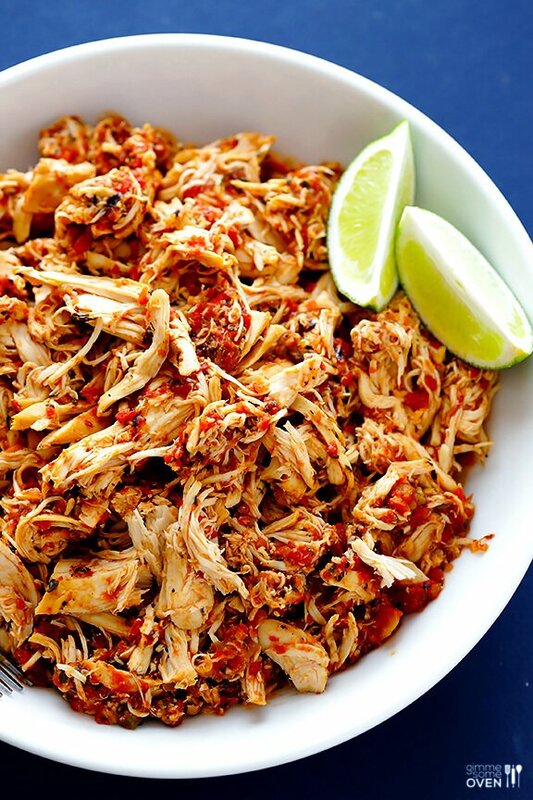 When chicken is done, shred it with a fork and toss with remaining salsa and juices until well mixed. Put the shredded chicken on a tortilla (or this Gluten Free Option) and add guacamole, beans, rice, shredded cheese, shredded lettuce, sour cream, what ever you like and fold to form a burrito.